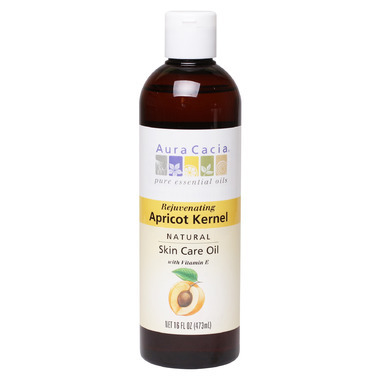 Aura Cacia's Apricot Kernel oil is high in skin-nourishing essential fatty acids. Its light, smooth properties restore skin vitality in massage. The oil is expressed from the seed kernels of ripe apricots. Ingredients: Prunus armeniaca (apricot kernel oil), tocopheryl acetate (vitamin E). I love this moisturizer. It's a great option for lighter coverage and once absorbed, your skin feels silky soft. Not my first time using it, so I will keep ordering. And, as always, Well was super quick to deliver. Thank you! Highly recommend this fragrance free oil for massage and for moisturizing, even the face. Not too rich and very light. A phenomenal product at good value! A lovely light, non greasy oil that is phenomenal for massage, and for moisturizing. I put a bit in with my facial cream and use it as a night cream. Never any breakouts. No scent or fragrance. Good price for volume. Would highly recommend! Now on my second bottle. Great value for money. No odour at all and easy to dispense. I rub on arms, legs and torso every day to keep my skin smooth. Very pleased with this product.